To Accelerate, or Just to Depreciate? Getting a Refund? How’s it feel? 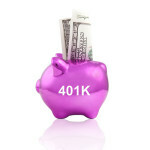 Roth 401k – What is Roth 401k?